Last time I was posting, we had just travelled up the coast to Ballina with no immediate plans. 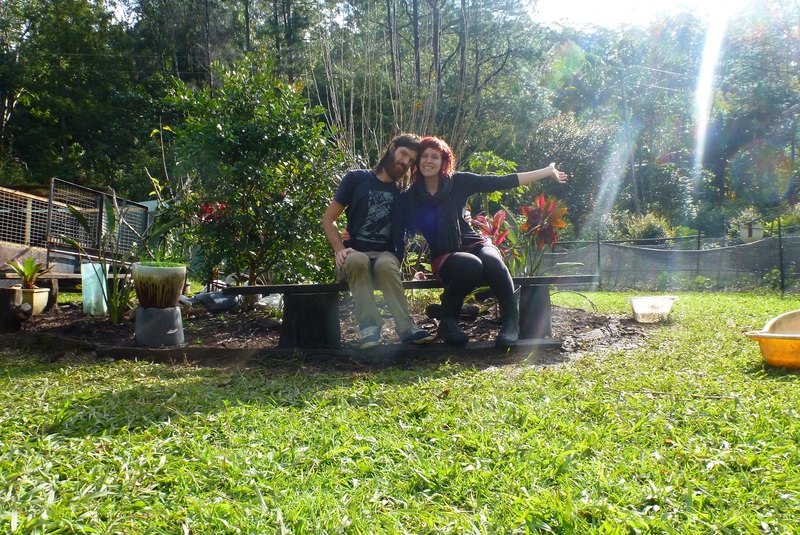 We spent a day in Byron Bay doing the old job ring around (avocados and macadamias in this area) but to no avail. We decided to camp out two nights at the Alstonville showgrounds (about 15 mins inland from Ballina) for showers and power (and only $10/night!). 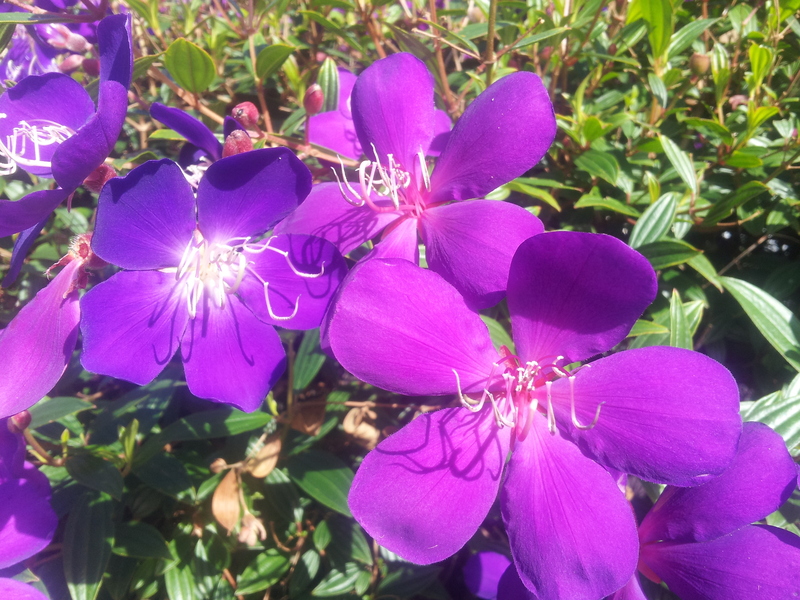 Alstonville was a lovely little town, and here’s a fun fact for you – it is the home of the Tibouchina Alstonville, a plant which has vibrant purple flowers around Autumn time. A guy who lived there developed the plant, and we were lucky enough to be there at the right time to see them in action. So while we were there, we decided to try the Helpx route while we continued on our search for paid work. We picked a host we liked the sound of, got in touch, and next thing we knew, we were on our way out to Upper Main Arm, about 15 minutes out of Mullumbimby. 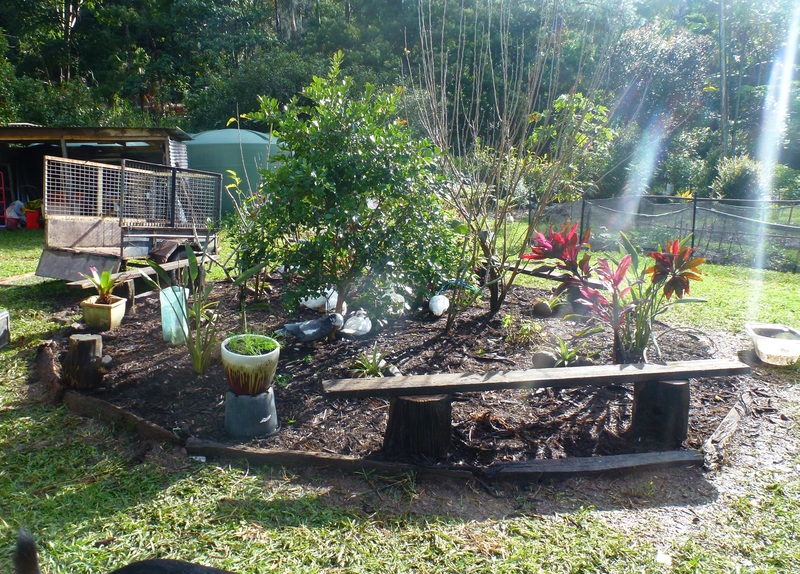 The Main Arm/Mullum area really is beautiful, and the minute we got there we were struck by the strong sense of community that is present there. Nowhere else in Australia (so far!) have we experienced something quite like it. 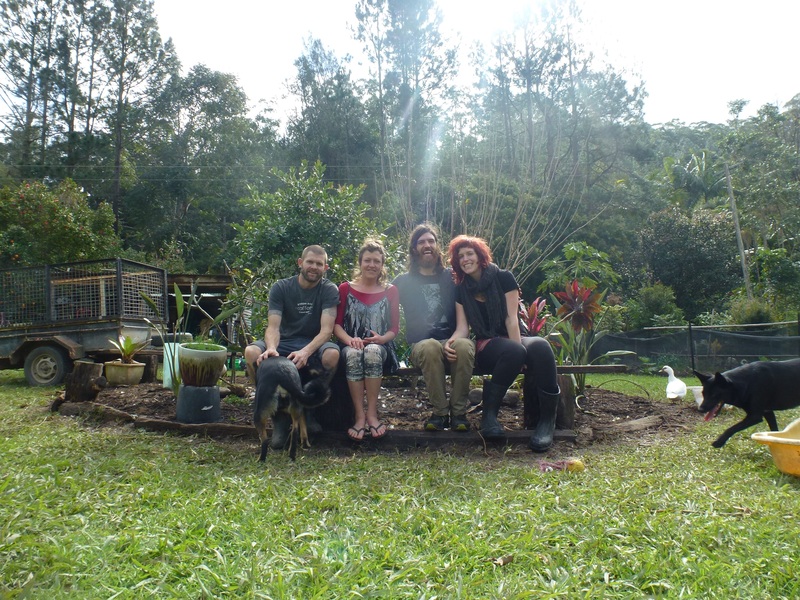 Our hosts were a lovely couple who had a gorgeous property on which they had organic gardens, a little sub-tropical orchard, about 27 ducks and a handful of chooks (with names like Elton, Rob Zombie, Venus & Serena and Barry (White)) as well as two dogs, Possum and Peanut. The property is surrounded by bush and backed onto a creek that winds its way about the area. Oh and I almost forgot, over the neighbouring fence lived the most awesome bunch of cows, including (a super pregnant) Moonshine, her son Midnight, Little Brown Bull, Paddy and Madonna (also pregnant). 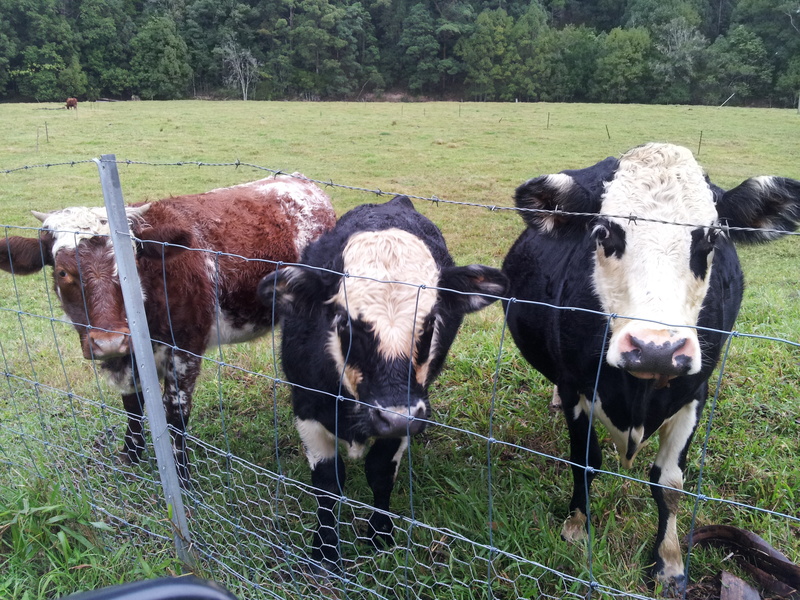 Here is Little Brown Bull, Midnight and Moonshine. 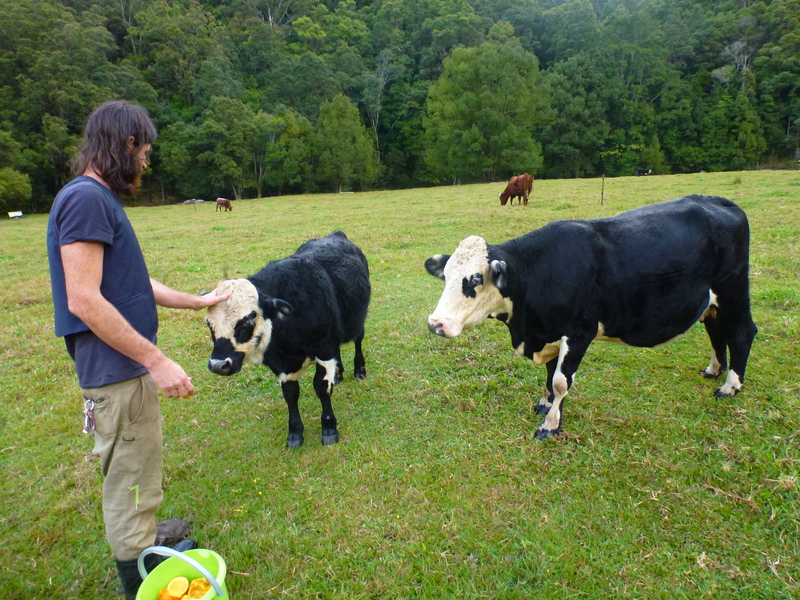 We really took to feeding the cows over the fence or in the paddock. Moonshine and Midnight were always the first to come running. 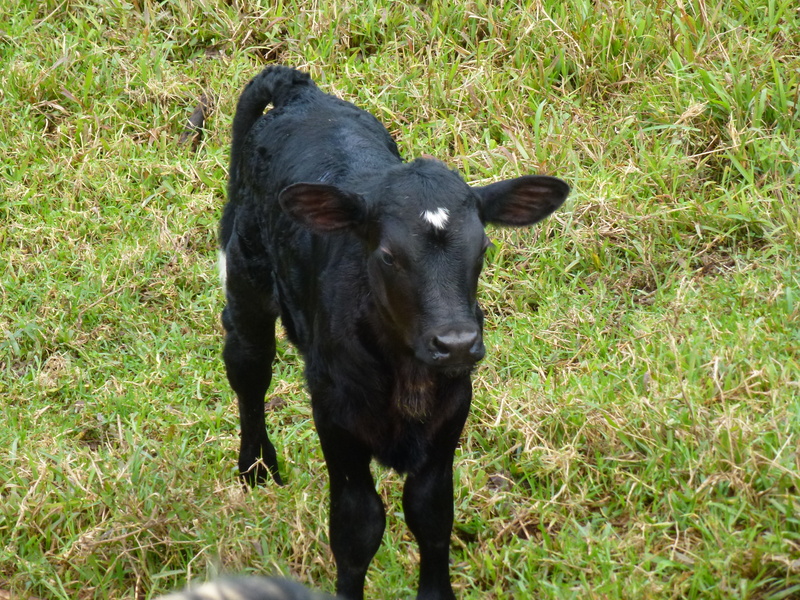 While we were there, Madonna gave birth to a beautiful little calf with a heart shaped patch on his head, that we named Inca. Not long after we left, Moonshine had a little girl too….awwww. I can’t wait to see a photo. Baby cows are just so sweet with their long eyelashes and knobbly legs and the way they bound around. Our hosts took us along to various outings – belly dancing lessons, winter solstice parties, social dinners at the local community hall, to the beach, yowie hunting in the bush and on missions to get delicious vegan pies. We met lots of lovely people, and our hosts were just the most awesome, lovely, funny, warm, generous people who really made us feel welcome and almost like part of the family! They cooked amazing vegan food too! I think they also taught us a lot and even inspired us to become more active in our communities. We had originally planned to stay one week, but ended up staying three, and then travelling with one of them to the gas fields in Queensland (more on that later). We already miss them! 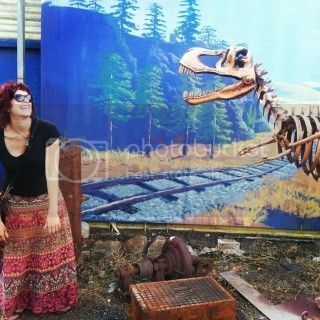 My housemate is from Mullumbimby! Those cows are SO cute. Now I want to find a cow to cuddle!